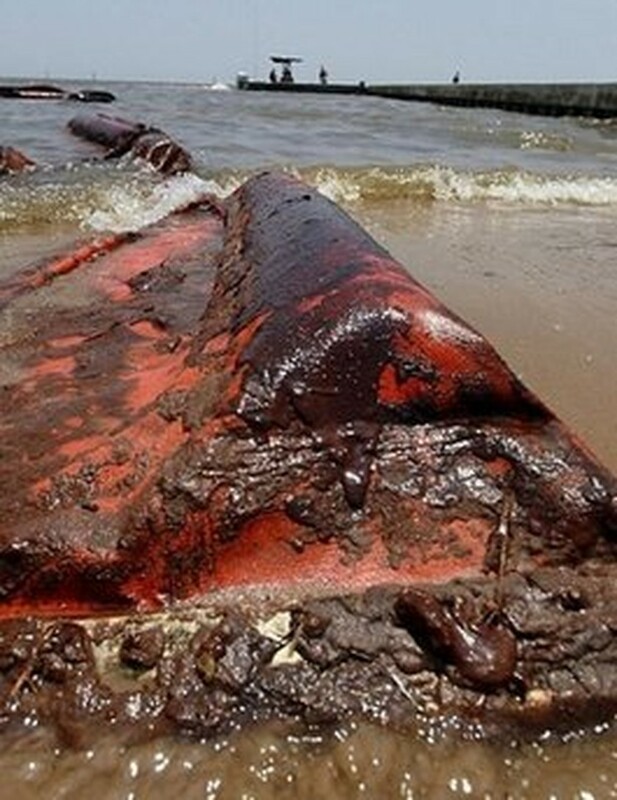 BP reported good progress in its high-stakes effort to fully contain the Gulf of Mexico oil leak by fixing a tighter cap over the giant gusher, now raging largely unchecked. Operations have reached a critical phase as engineers race to take advantage of a stretch of fine weather in the midst of the Atlantic hurricane season and install a new system with the potential to capture all the leaking crude. Expected to take between four and seven days, the round-the-clock work began at midday on Saturday when the old, less efficient cap was ripped off a fractured pipe a mile down on the sea floor by robotic submarines. "We are pleased with our progress," BP Vice President Kent Wells told journalists. "We have carefully planned and practiced this whole procedure. We've tried to work out as many of the bugs as we can." A transition spool must first be lowered and bolted onto the leaking pipe before a gigantic funnel -- weighing 150,000 pounds (68-tonnes) and dubbed the "Top Hat 10" -- can be set in position. The old "Top Hat" collected 25,000 barrels (one million gallons) of crude on average each day, but estimates suggest that could be less than half the total leak. BP says the new system and the deployment of a third containment ship called the Helix Producer will raise capacity to between 60,000 and 80,000 barrels a day, enough to contain the whole leak. "We'll capture it all at some point," said Wells. The new system is also designed so it can be disconnected and reconnected more easily in the case of a hurricane and has a built-in device that should give the first precise estimate of the overall flow. "We're in a very critical point in the containment efforts," White House spokesman Robert Gibbs told NBC television. "The new containment procedure will more than triple our containment capacity when it's all said and done." No permanent solution is expected until mid-August at the earliest when the first of two relief wells is due to be completed -- allowing drilling fluids to be injected into the well, which would then be sealed with cement. The decision to remove the old cap and allow most of the oil to pour unchecked into the sea was approved by Admiral Thad Allen, the former Coast Guard chief leading the US government's response to the disaster. The removal of the old cap forced the suspension of the main containment operation, but a separate siphoning system is taking a smaller proportion of the oil, some 8,000 barrels a day, to be flared off on a surface vessel. Wells said two more ships would join a fleet of 46 skimming vessels scooping oil off the sea, and said 15 controlled burns of crude had been carried out on Saturday thanks to the calm conditions. The man charged with doling out compensation to victims of the spill said Sunday he could not estimate whether the initial 20-billion-dollar fund set up by BP would be enough to pay compensation claims. "If they are eligible, we will give them up to six months emergency (compensation)," Kenneth Feinberg told CNN, adding: "I can't help people if they don't file." Many fishermen and others who work in the Gulf get paid in cash and do not have paperwork to back up their claims. Some may also be worried that if they ask for compensation, the government will seek taxes for previous income. While the containment effort and the claims process continued apace, the attorney general said the Justice Department was still weighing whether to bring criminal charges against the culprit or culprits. "The investigation is ongoing. We are in the process of accumulating documents, talking to witnesses on both the criminal side and the civil side," Eric Holder told CBS's "Face the Nation" program. Holder stressed that when he announced the probe on June 1, he had been careful not to mention BP by name as the British energy giant was not the only party involved with the Deepwater Horizon rig. At congressional hearings back in May, BP, rig owner Transocean and oil services provider Halliburton blamed each other for the spill as executives from the three oil titans were grilled by US lawmakers. The BP-leased rig exploded on April 20 killing 11 workers. It sank two days later, unleashing the nation's worst ever environmental disaster.